I agree with you on the ending, but as it's for younger readers, I doubt they will realise how unrealistic it is. I have heard so many wonderful things about this novel. I can't wait to read it! 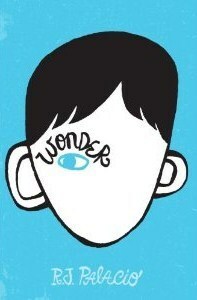 I loved Wonder as well. It is a children's novel that can speak to anyone. I really think it should be required reading for students and teachers, even though I disagree with the premise of required reading :-). This is a book everyone needs to experience.